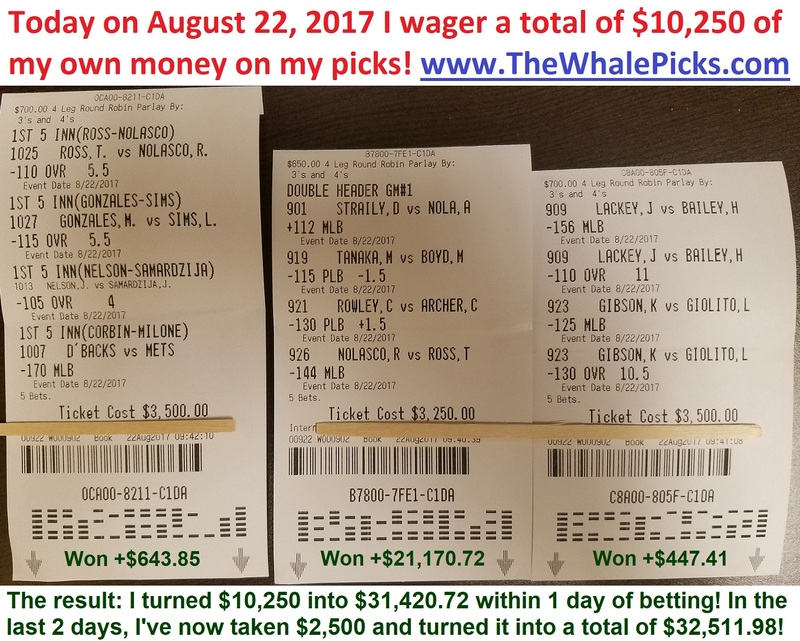 Here’s How I Turned $2,500 into $41,962.83 in 4 Days of Betting on Sports! I have done it again! Yesterday was another winning day where I easily won 4 out of 4 on one of my Round Robins to go up +23.9 units for the day. I personally wagered $31,650 of my own money on my picks yesterday and cashed out $38,005.55! Really, what’s the point? Who in the world would risk $200,000 of their own money on picks in a week if they aren’t absolutely certain that they’re going to win? I know that over time, I always win. That’s the reason why I continue to risk hundreds of thousands of dollars on my picks each week. In the old days when I could accelerate as high as I wanted, I was routinely betting millions of dollars in a weekend. Plus, I know that it’s not enough for me to just sit back and tell you that I can make a fortune from betting on sports. It’s far more convincing for me to actually show it to you. So that’s exactly what I am is doing. 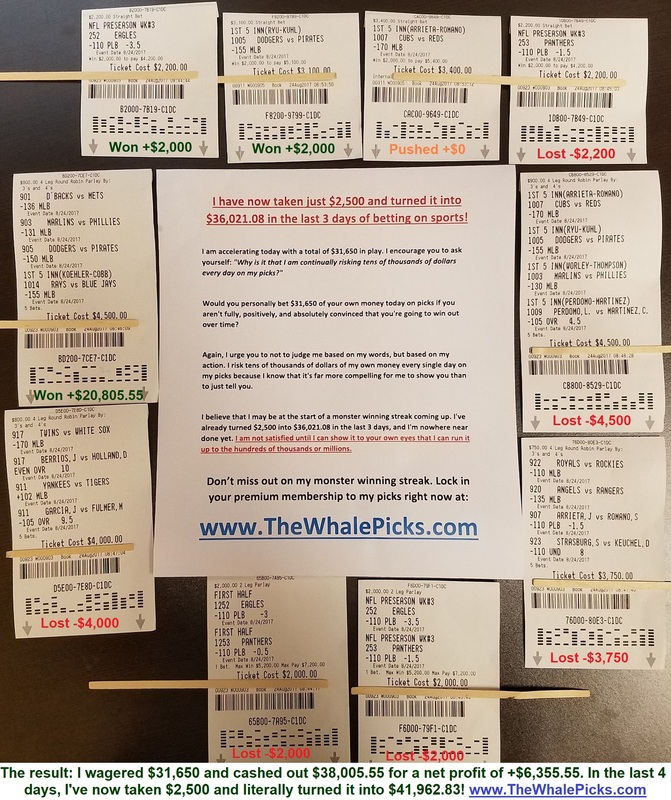 I go out there and risk hundreds of thousands to millions of dollars of my own money on my picks each month because I know that action speaks louder than words. It’s not enough for me to just tell you. I needs to actually prove it to you. In total, I am now sitting on top of $41,962.83. That’s $38 shy of $42,000 on my hands — all from starting with just $2,500 four days ago. Let that sink in for a minute: I started with a couple thousand dollars 4 days ago. 4 days later, I have won well over $40,000! What if I had started with $10,000 or $15,000? I’d now already be up hundreds of thousands of dollars. But I want to show you that you don’t need a closet full of cash to make my system work. So I went out there with just $2,500 4 days ago. I wanted to prove to you that even with a relatively small amount of money to start, I can still make a killing by betting on my picks. And that’s exactly what happened. In just 4 days, I have taken $2,500 and turned it into 41,962.83 right in front of your eyes. Literally. You saw it as it happened. I showed you my betting tickets every single day, and you witnessed it right before you that I took a couple thousand bucks and ran it up to $42,000. That quick. 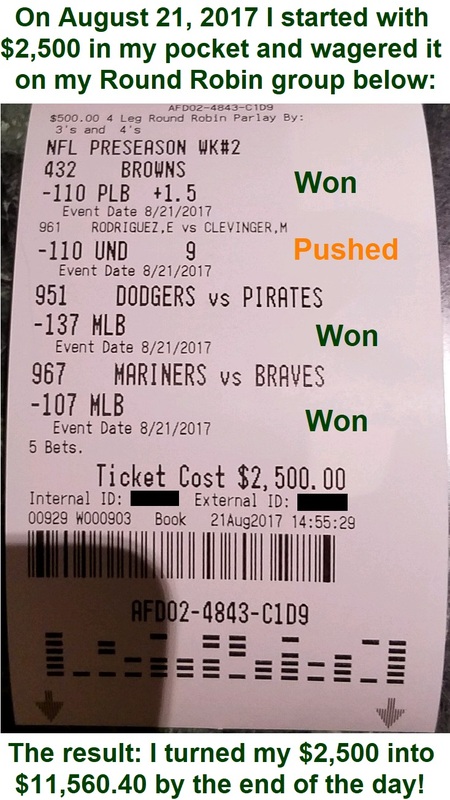 Back when I could wager more because I wasn’t limited by the sportsbooks, I have taken $50,000 and turned it into $4 million in the same span of 4 days. It happens that fast. And I am not satisfied yet. To me, I don’t even consider this a hot run yet. I am used to runs where I win hundreds of thousands of dollars to millions of dollars in one single streak.What you’ve seen so far is just the start! I truly care for you, and I am sharing my picks with you because I want you to share into my success. You are witnessing a glimpse into how I have made my tens of millions in fortunes over the last 30 years from betting on sports. 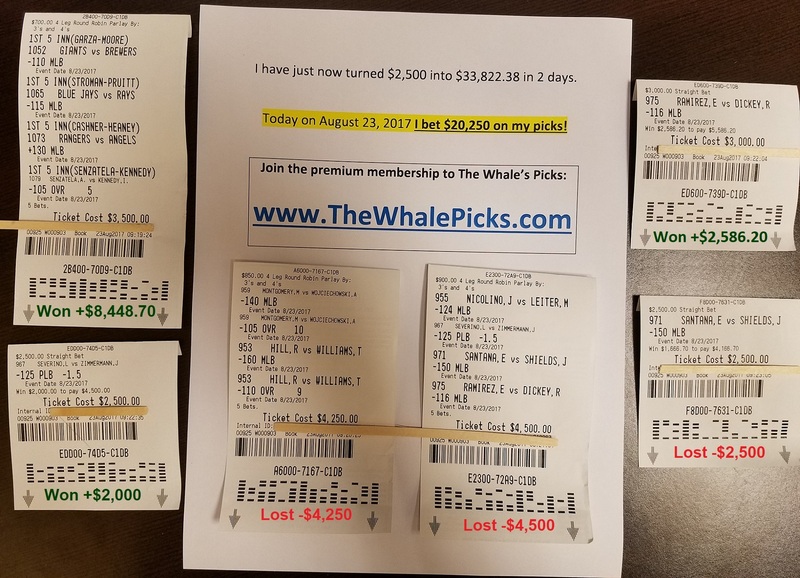 Had the sportsbooks not cut me back or shut me down, I could likely have gone on to wager billions of dollars on sports and came away winning hundreds of millions. I was on track to do so back in the 1990’s when The Mirage would let me accelerate and bet millions of dollars a week.